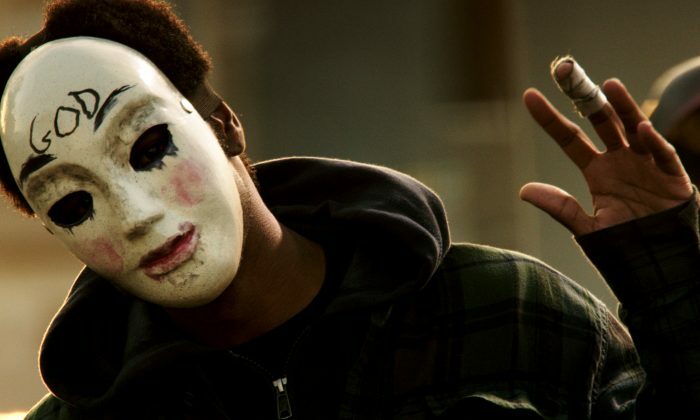 Users on Twitter were saying they are “ready to purge” on Halloween, referring to the two movies of the same name. In at least one Connecticut city, police said they’re on the lookout. “Windsor Police and Windsor Public Schools have been partnering together since this information was developed and are working quickly to prevent these intended acts of delinquency,” authorities at Sage Park Middle School said in a letter to families, via NBC. “We will be meeting with students identified as participating in such discussions to determine the validity of such plans and to very emphatically communicate both school and police expectations,” the letter adds. The movie entails a 12-hour period of lawlessness where murder, robbery, and other crimes are legalized. MOUNTAINHOME, Pa. (AP) — State police gave out candy Friday night to children trick-or-treating in a northeast Pennsylvania community that had been under siege for nearly seven weeks until a man suspected of killing a state trooper was captured. The arrest Thursday evening of Eric Frein led to a quick decision to lift a ban on trick-or-treating, and children took to the streets after nightfall to enjoy a day without real fear, only the Halloween kind. “We’re glad that they got this night back,” Lt. Col. George Bivens said as he and other members of the state police manned three large buckets of candy set up on a narrow street. “These kids have lived with this police presence and the concern of having a person who is on the run and wanted by law enforcement amongst them in their community, and now they can get back to normal,” he said. While state police sought to show their appreciation to the community, residents gave thanks back. Hunter Rack, 9, dressed as a World War II soldier, handed Bivens a thank-you card while out trick-or-treating with his parents and sister. His mother, Dawn Rack, said that “to know that they can go out and play and not have to worry” was a bigger gift than getting the chance to celebrate Halloween. Hundreds of law enforcement officers had been swarming the community looking for Frein. While he was on the run in the heavily wooded township, officials didn’t want kids going door to door for candy. The annualHalloween parade, a big event in town that this year was to mark its 50th anniversary, also was canceled. Bivens became the face of the state police during the search, leading periodic news conferences on the status of the manhunt. He was a rock star of sorts Friday night, as residents sought to take a picture with him and shake his hand. Darlene Fylstra said she didn’t have a Plan B for Halloween so she was thrilled when she heard children could go door to door. So was her daughter, Malia Salter, 5, who jumped up and down repeating “I love trick-or-treating” as her mother spoke, just hours before nightfall.